● recommended for reading: Buy online - safely and with certainty!● the manual you can download here. ● our decision tool helps you to find the proper RS485, RS422 or RS232 interface converter for your project. Make sure that our item no. 465 is the right for you. 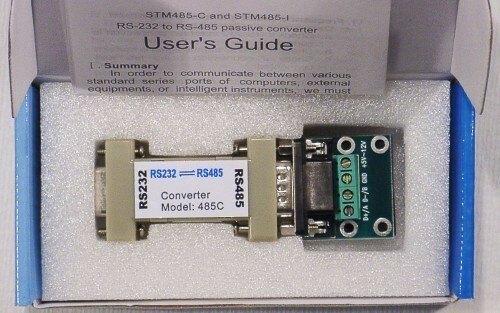 Please check your computer manual to find out if this item RS232 to RS485 Converter is right for you. In case of any questions we will help you to find the right item. If you are not satisfied contrary to expectations with this item no. 465, we will try to find a solution that meets your requirements.